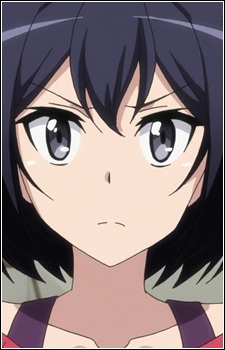 Kanade is the third of the nine Sakurada children and the second oldest daughter. She is twins with her brother Shuu. She has the strongest desire to become king. She is also the vice president of the student council. Her ability makes her able to materialize any object. However, the cost of the object is immediately removed from her savings. Because she accidentally injured Shu's legs in the past because of her ability, Kanade's motive for becoming king is to advance the country's medical system in order to cure him and correct her past mistake, even though Shuu doesn't want that. She eventually decides to give up and switch her reason for becoming king to herself and the citizens, after she gets saved from an accident by Shuu, proving that he is completely fine and saying Kanade shouldn't worry about him. She decides to study even harder to go into medicine studies, but by her own will and preferences.